Find Irish dance schools in New York, as well as other venues that host Irish dance classes in New York. If you're an NY resident and insatiably curious about the beauty of Irish dance, let Fun New York be your number one source! Irish Dance Lessons in NY for Children and Adults! Pick from a variety of Irish dance classes for children and adults at all levels at the Aherne Sheehan School of Irish Dance! The schools gives students opportunities for performance and competition throughout the tri-state area, and is fully accredited with the Irish dancing commission in Dublin. When it comes to dance classes, Aherne Sheehan embraces both tradition and innovation--educating students on all the traditional forms yet keeping up-to-date with the modern, urban pace of today's world. All classes foster a fun, positive learning environment; making them perfect for children and adults of all ages. Anyone interested in taking Irish dancing classes should visit the Lynn Academy. The Lynn Academy has 2 locations in new York, in Tarrytown and New Rochelle. The school features classes for children as young as 4, who can learn the secrets of Irish dancing in a safe environment. The New York location offers classes for both children and adults over 25 years old. The beginner classes include a 45 minute introduction to Irish dancing. 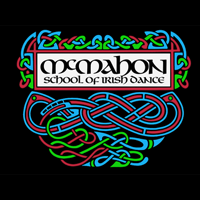 The McMahon School of Irish Dancing was founded in 2001 and quickly became a popular school in the New York region. The school has a location in Rochester and another one in Batavia. Classes are scheduled every day from Monday to Thursday, with special classes for kids over 7 years old on Saturday. The school is keeping the Irish dancing traditions intact and kids as young as 4 can attend. Classes for advanced dancers and transfer students are also offered. Rince na Tiarna is an Irish dance school in West Seneca, NY. The school was founded in 1999 and since then many students enrolled here have won dancing awards, making the school one of the most reputable in New York and not only. Rince na Tiarna holds dancing events and holiday celebrations along with numerous types of classes with a flexible schedule. The school also offers private dance classes and much more. Classes take place every day of the week. The Carle School of Irish Dance is a reputable school for both children and adults alike. The main school is located in Johnson City, NY but 3 other locations exist as to make things easy for any New York resident. The Carle School provides dance teachings incorporating the Irish traditions into the modern living. The Irish dance classes are ideal for people who want to have fun but also for professional dancers. 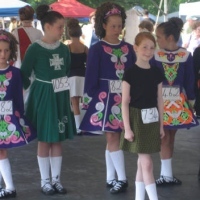 A good place to learn Irish dancing in NY is the McGough Academy located in Yonkers. The school is ran by Meagan McGough, a certified Irish dance instructor who dedicated her life to the art of Irish dancing. The McGough Academy offers classes for both beginners but also advanced dancers or people who simply want to learn something new. The classes are separated into levels and private lessons are also available on the weekends. If you want to get initiated in the art of Irish dance, enroll in the Niall O'Leary School of Irish Dance. The school's owner is a former Irish dancing champion, and the Niall O'Leary School is the largest Irish dance school in the New York region. The school has several locations in New York City as to be convenient for city residents. Students can take advantage of the private dancing lessons and the available workshops. Everyone who loves Irish dancing will love attending classes at the Petri School for Irish dancing in the New York area. With 2 easy to reach locations in East Northport and Franklin Square, the traditional Irish dancing school can be attended by any New York resident. Petri School was established in 1991 and gained experience throughout the years, growing along its students. Daily Irish dancing classes are offered to people from age 4 to 21. The Rochez Academy of Irish Dance in NY was founded as to offer residents the chance to experience Irish dancing while developing their talents. The school's classes are small and friendly, making everyone attending feel comfortable and at home. The school encourages young dancers to develop their own personal style and educates them in order to become professional dancers. Many types of classes are offered, as to suit each student's style and dancing approach. 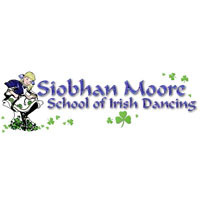 The Siobhan Moore School of Irish Dance brings a piece of the Irish traditions into the New York region. The school, located in Hudson Valley, NY, provides teaching in the art of Irish dancing for children and adults alike. Founded back in 1985, the school trains children to be professional dancers and helps them take part in important competitions all over the nation. The founder is a certified dancer with more than 20 years of experience in the field. The Boland School of Irish Dance in Rochester, NY is an acclaimed Irish dancing school and provides its students with everything they need to know in order to become a successful dancer later on. The school features several programs, events and types of classes for anyone regardless of their age and background. The dancers take part in several competitions all over the nation, adding to the school's popularity and prestige. Classes are available all throughout the year.